Caribbean Yacht Charter is perfection afloat. With a huge range of islands, amazing charter yachts and sailing itineraries, there is something here for everyone. 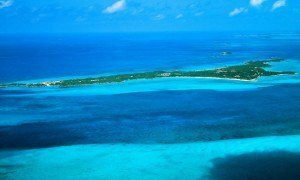 Charter a Virgin Island catamaran or sail a multihull around Mustique and the Grenadines where the shallow draft makes the most of sublime anchorages. We have a superb fleet of motor yachts for charter in each area. Bahamas, Virgin Islands, St Maarten and St Barths. Or start your cruise in Antigua and head to the Leeward or Windward Islands. The Caribbean is paradise for sailing yacht charter with a steady beam reach breeze and some great deep water sailing to exhilarate all. 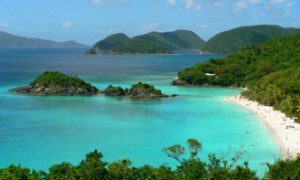 Like a string of precious jewels, the Caribbean Islands thread the line where the Atlantic Ocean melts into the Caribbean Sea. 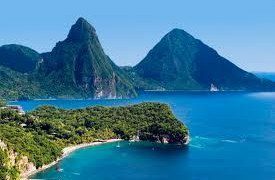 Mountainous volcanic emeralds such as St Lucia and Dominica create tumbling waterfalls, rivers and rainforest with whales lazing in the deep waters below. While sparkling opals such as the Bahamas or Grenadines are surrounded by pools of iridescent turquoise sea and multi-colored coral reefs. As varied as the islands themselves, are the people who live there, the culture behind them and the countries who own them. Some are Independent, others are French, Spanish, American, British and Dutch. Thus it is possible in three days to visit four different countries while all you have to do is lie back on deck and relax. Look through our islands pages to discover a little more about them and then let us help you decide which group of gems to visit first. Remember; the longer you sail, the more you can see!